For the past 6ish years, I’ve had the privilege of serving at a Young Adult retreat called Elevate Remix. It was birthed out of a youth summer camp (Camp Elevate), and has been impactful for so many. I being one of them. I have served on worship teams, execution teams, and ministry staff teams, since 2010 and God does something deep inside of me every year. This year was no different, yet all different at the same time. After this year’s retreat, I found myself all-over-the-place emotionally and spiritually. Yes the messages were like taking you to open-heart surgery, you dying, and being brought back to life again and again, but I was left confused. I had more questions than I had before the retreat, and I felt I just needed to sit down somewhere and “process” it all. I found myself questioning if I was good at anything? I didn’t want to lead the team anymore, lead worship at all anymore, teach anymore, or anything else that required me to be in the “spotlight” for that matter. I just wanted to hide. Live a normal life where I loved Jesus and helped people and no one ever knew my name. I wanted to get back to my life in Redding. I wanted to get back to my normal routine, and my “hidden season”. I wanted to get back to my safe place. I was trying to figure it out. I was trying to make sense of it all. I was trying to figure out a plan, when all I needed to do was surrender. Let Him figure it out. 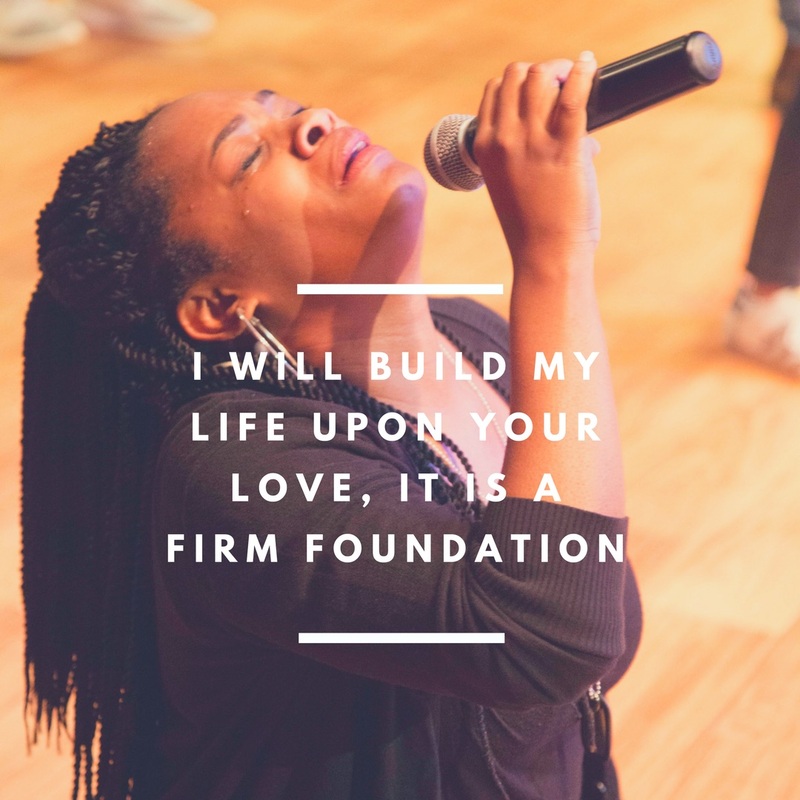 Let Him build my life. I wish I could say after that I surrendered, and I’ve been great since, but it is a daily surrender. It’s laying those things down daily. Honestly, I’ve come to believe that I indeed have a fear of being great. And hear my heart in this. I don’t want the “spotlight” because I’ve seen so many abuse and misuse it. I don’t want to mess up. I don’t want everything I do to be examined and scrutinized. I don’t want the judgement and criticism. I don’t want any of it. I just want to be Rheva, honestly “Hidden Rheva”. Hidden Rheva feels safe. Hidden Rheva feels secure. But I know this hidden season is not going to last long. I was made to lead. I was made to influence. If my foundation is simply His love for me and everyone He leads me to, I know that I will be secure. I just have to trust Him, and surrender daily.